Picture this… a challenging golf course only steps away from a welcoming, well-equipped RV campsite. If that sounds like vacation paradise to you, it’s definitely time to plan a trip to at least one of Arizona’s RV golf resorts. Arizona’s diverse landscapes offer golfers who love to travel by RV amazingly beautiful surroundings and golf that’s worth writing home about. Here are some best bets for RV golfing in Arizona. Try them all, or pick a different one each year, but plan to park your motorhome in the Grand Canyon State soon for a great round of golf and enjoyable RV camping. We-Ko-Pa Golf Course – Fort McDowell – Where else but Arizona could you play on two 18-hole championship golf courses surrounded by both Sonoran desert and mountain views? Just east of Scottsdale, this course is on land owned by the Fort McDowell Yavapai Nation, where you’ll also find Eagle View RV Resort, a unique RV camping experience. Circle Pines KOA – Williams – Head down Route 66 to historic Williams, Arizona, where this picturesque RV campground in the pines is a short drive from 18 holes of golf at Elephant Rocks Golf Course. Turquoise Valley Golf & RV Park – Near Tombstone, RV camping golf lovers will find the oldest continuously operated golf course in Arizona. For more than one hundred years, golfers have found this 18-hole course fascinating. Test your skills on the famous par 6, 747-yard 15th hole nicknamed “The Rattler!” A first class, one hundred campsite RV park is located on-site, making this truly a best bet for your Arizona RV golfing trip. Westwind RV & Golf Resort – Yuma – Park your RV among the pines at this well-appointed park in Yuma. An executive 9-hole park is only one of the great amenities that attract RV golf campers year after year. Voyager RV Resort – Tucson – There’s so much to love about this upscale resort in Tucson! A par 3 9-hole golf course offers golfers views of the nearby mountains, and the amenities available to RV campers will have you booking your next vacation soon! Cocopah RV and Golf Resort – Yuma – The USGA-rated 18-hole par 72 public course adjacent to this full-service RV resort lure campers from all over the US. Spend a day or spend a week, but don’t miss the chance for golf and RV camping at their best. There’s no reason to give up golf while camping by RV. Arizona’s fabulous RV golf resorts, and many other RV campgrounds near golf courses, are a huge draw for tourists every year. Why not discover for yourself what makes golfing and camping in Arizona so memorable? Check out these top picks, and talk to other RV camping fans who’ve already made the journey, and then make plans to spend time on the links in Arizona. For more RV/Golfing ideas see our RV Parks with Golf / Golf Courses with RV Parks page. 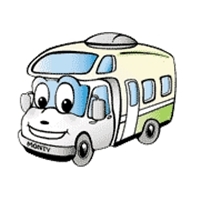 This entry was posted in Arizona RV Camping Vacation, RV Golf Resort Vacation. Bookmark the permalink. I am one of those people who loves to play golf… My father taught me to play golf when I was 16 years old!! I find golf to be a nice and enjoyable game! My Dad and I are planning to visit Arizona this coming weekend. We love to play golf in in Arizona. I will tell my Dad that we must try going to Westwind RV & Golf Resort. We hope “Arizona Vacation Rentals” had a GREAT time at the Westwind and that they return to that fine location again and again. However, do yourselves a favor and set aside some time to also visit Turquoise Valley Golf, Restaurant & RV, in Naco. We’re just minutes from Tombstone and even closer to the Mile High COOL Climate of Bisbee, so a great place to visit to get a break from the triple digit temperatures in the rest of the state. We’re Arizona’s OLDEST Continuously-Running Golf Course and home of the 747 Yard Par 6 Rattler, Longest Golf Hole in AZ!